The action is fast and fun at this park, which sports a 1/3 mile dirt oval track, 1/4 mile drag strip, go-kart track, public shooting ranges, ballfield complex, and fishing ponds. 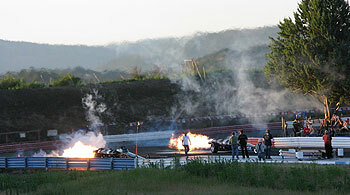 Racing fans can take advantage of the high-speed action at Jackson County's Sports Park. 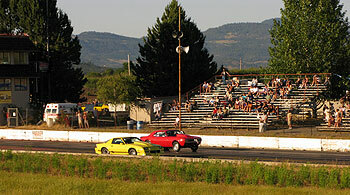 Whether it's the fast-moving action at the Southern Oregon Speedway's 1/3 Mile Dirt Oval Track, the Jackson County's 1/4 Mile Drag Strip, or the Kart Track's 3/4 Mile Paved Track, the Sports Park provides exciting racing events the entire family will enjoy. 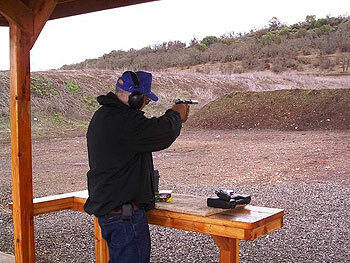 You can sight your rifle in before hunting season or practice your marksmanship with rifles or pistols at this large Shooting Range, currently operated by Rogue Valley Shooting Sports Association. There is also an area designated for shotgun enthusiasts, an archery range, and a covered shooting range so you can enjoy target practice during the rainy season. Jackson County's Sports Park also features a 10-Field Ballfield Complex, with a concession stand and restrooms. Southern Oregon Fields are currently operated by the Upper Rogue Cal Ripken youth sports program. Ranges are open daily from 8:00 AM until approximately 1/2 hour before sunset.